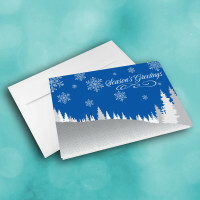 Send a classy, snowy, seasonal card to spread your holiday greetings. 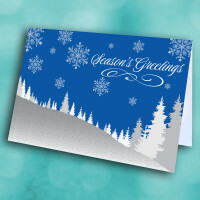 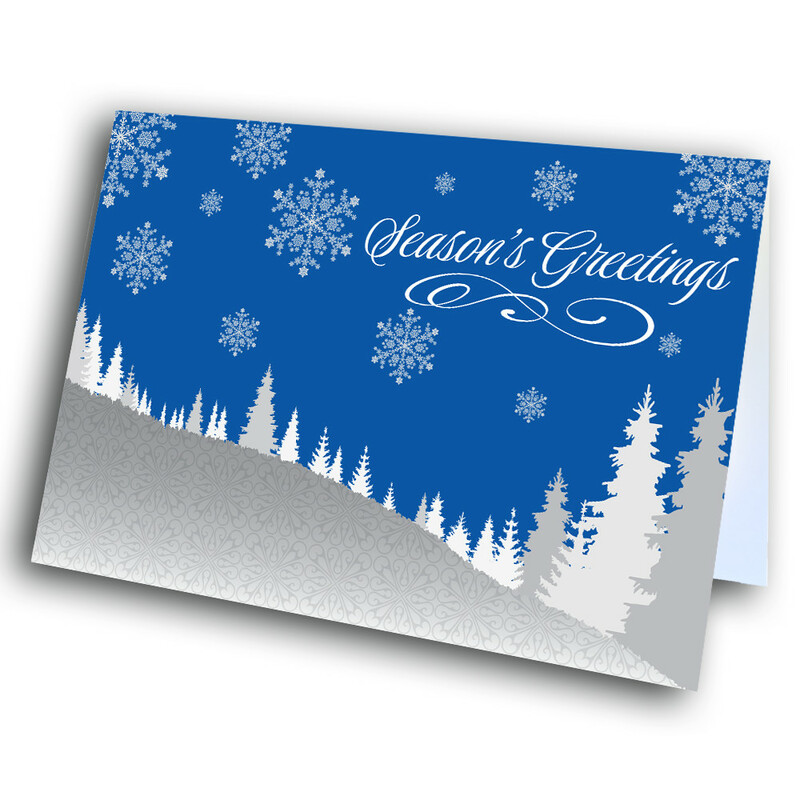 This beautiful, classic seasons greeting card is perfect for both business and personal relationships. 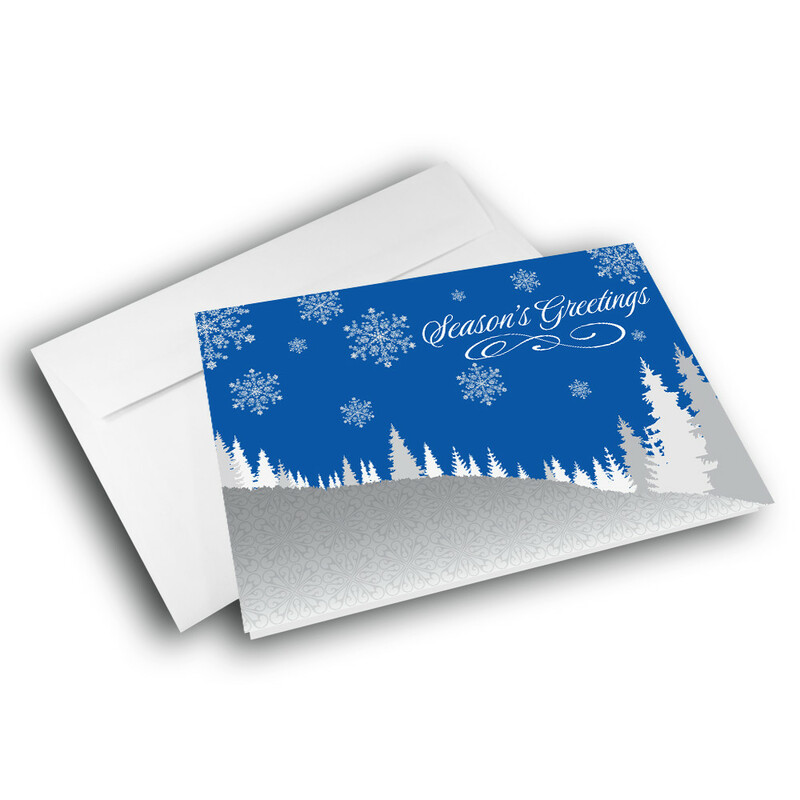 The front features a wintery forest scene, silhouetted agianst a deep-blue, snowflake spotted sky. 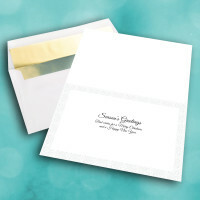 The holiday greeting is elegantly penned across the top. 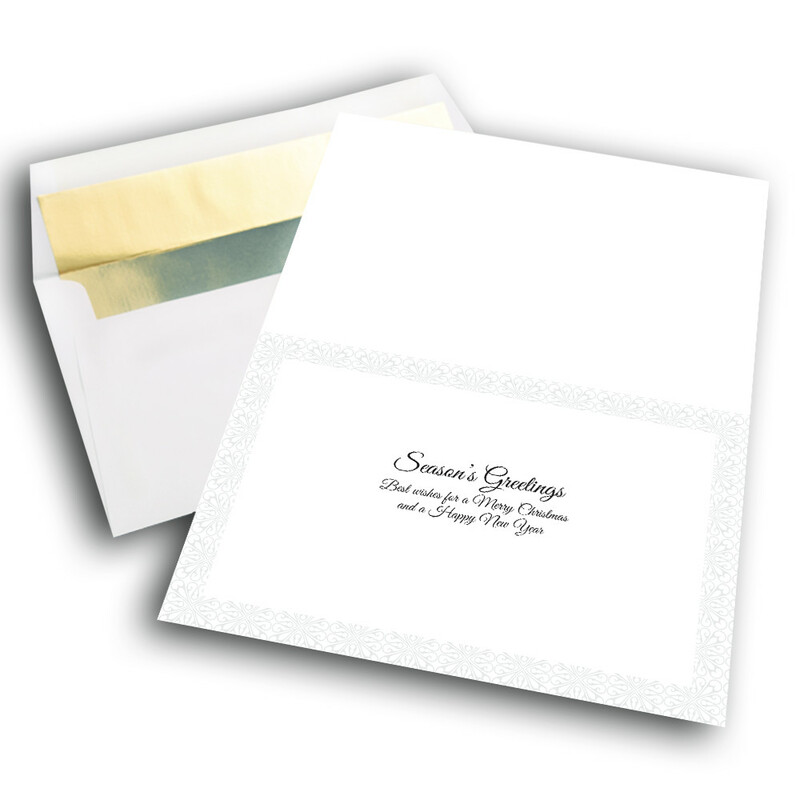 The inside is intricately patterned, and displays the warm greeting. Add personalization to make this card truly unique.